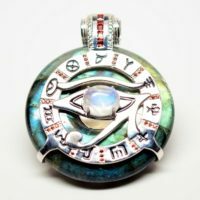 Soothing aquamarine blues and calming greens dominate this captivating Rainbow Labradorite amulet, and the lunar radiance of the center moonstone capture those hues to create this one-of-a-kind healing tool. 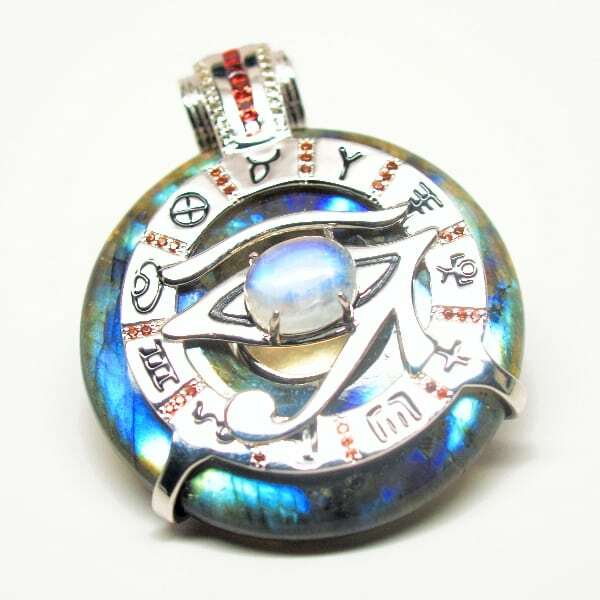 Those seeking to access higher realms of consciousness and divine sources of knowledge will find the guidance of the all-seeing Eye of Horus to be an invaluable companion for your spiritual journey. This symbol of strength, protection and wisdom is centered with moonstone, which works along with rainbow labradorite, garnet and white topaz crystals to illuminate the path to enlightenment and the higher self. 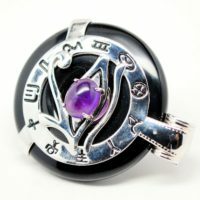 We’ve amplified to resonance of this amulet with three harmonic frequencies, hidden magnets and 11 other symbols to help users escalate their healing and manifestation efforts. 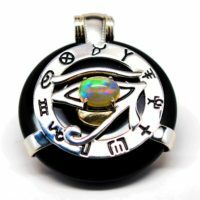 Awaken, cleanse and activate the higher chakras and enjoy the power of cosmic energies. 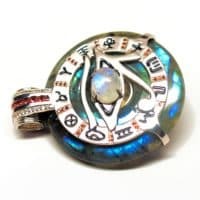 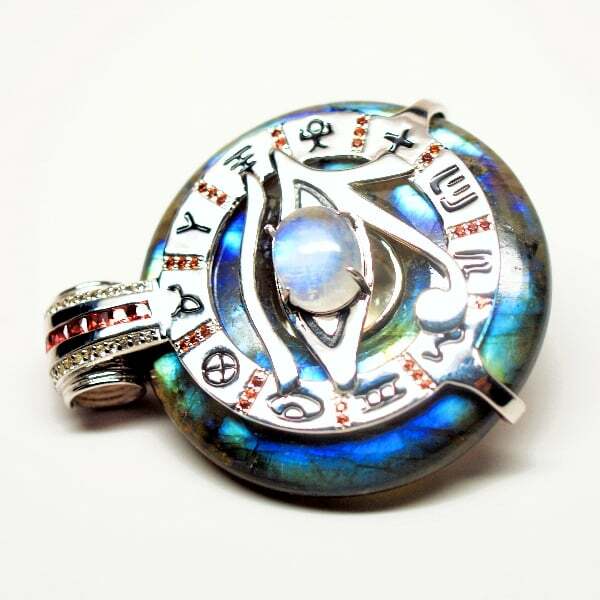 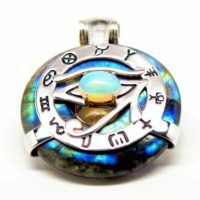 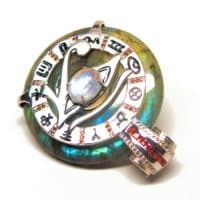 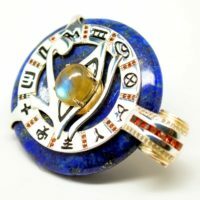 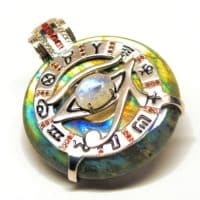 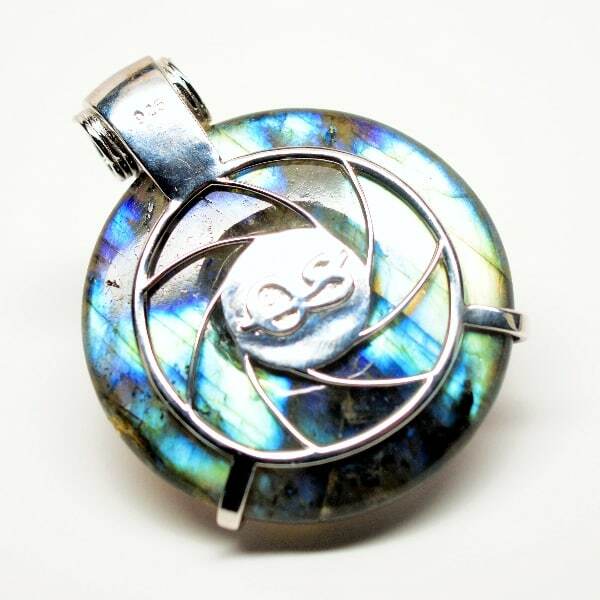 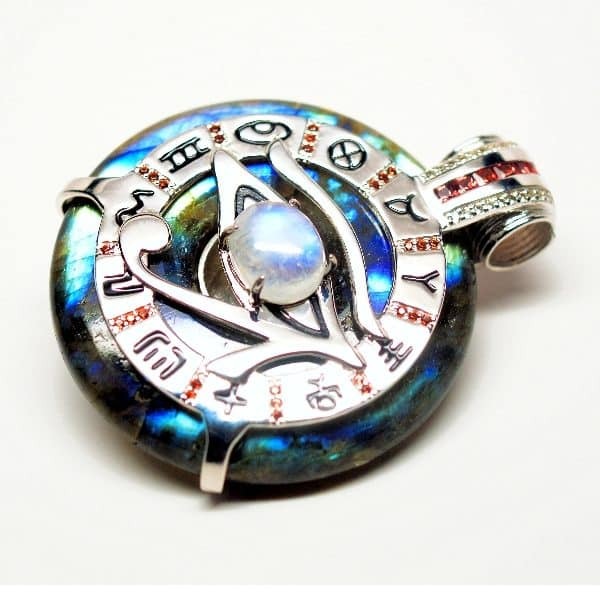 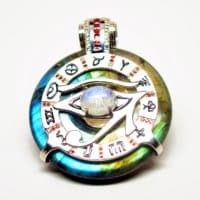 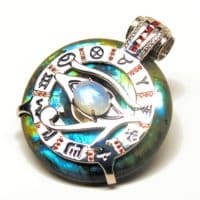 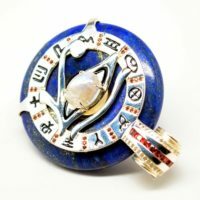 Be the first to review “Rainbow Labradorite & Garnet w/ Moonstone Eye – Horus Egyptian Amulet – (J004)” Click here to cancel reply.